AGUA DULCE – Four family members died Sunday after a small plane crashed in Agua Dulce. The crash was reported around 10:54 a.m. Sunday, Feb. 11, according to a news release from the Sheriffs Information Bureau. “Palmdale Sheriff’s station personnel responded to an ‘aircraft accident’ call in the area of [the] 30500 block of Briggs Road, Agua Dulce,” the sheriff’s news release states. The area is about four miles from Agua Dulce Air Park, a mile southeast of the Agua Dulce Road interchange on the Antelope Valley (14) Freeway. Deputies responded to the crash site and discovered the wreckage of a small plane crash with four dead inside, including at least one child, according to the sheriff’s department. No further information on the fatal plane crash was immediately available Sunday afternoon. 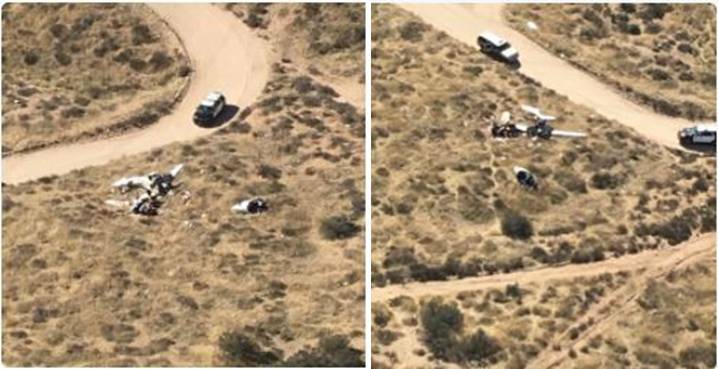 1 comment for "4 killed in small plane crash near Agua Dulce [updated]"